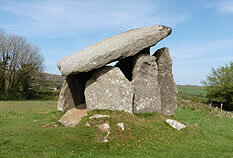 Trethevy Quoit is a megalithic chamber tomb situated just outside Darite on the SE edge of Bodmin Moor. The site is easily accessible to walkers and there are spaces for a few cars on the green next to it. 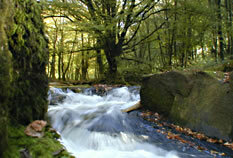 It's an ideal follow-on location from Minions and King Donierts Stone and all are best seen in good weather.